Zeiss brought bacl their Batis & Loxia Lens Black Friday deals: For a limited time, you can save up to $300 on Zeiss Batis Lenses & Zeiss Loxia Lenses for your Sony full frame E mount mirrorless cameras. $225 off on Zeiss Batis 18mm f/2.8 Lens: $1,274 at Amazon, B&H, Adorama. $195 off on Zeiss Batis 25mm f/2 Lens: $1,104 at Amazon, B&H, Adorama. $180 off on Zeiss Batis 85mm f/1.8 Lens: $1,019 at Amazon, B&H, Adorama. $300 off on Zeiss Batis 135mm f/2.8 Lens: $1,699 at Amazon, B&H, Adorama. $210 off on the Zeiss Loxia 85mm f/2.4 lens: $1,189 at Amazon, B&H, Adorama. $140 off on the Zeiss Loxia 50mm f/2 lens: $809 at Amazon, B&H, Adorama. $195 off on the Zeiss Loxia 35mm f/2 lens: $1,104 at Amazon, B&H, Adorama. 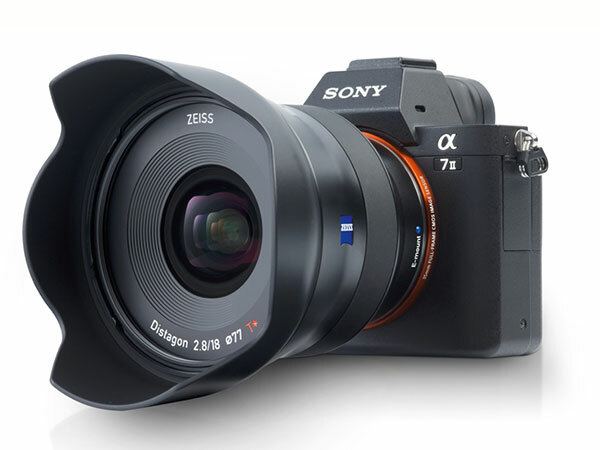 $225 off on the Zeiss Loxia 21mm f/2.8 lens: $1,274 at Amazon, B&H, Adorama. $100 off on Sigma MC-11 Mount Converter/Lens Adapter: $149 at Amazon, B&H, Adorama. Read more: Sony Black Friday Deals 2017.